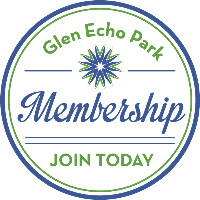 Enjoy a variety of social dances during the month of March at Glen Echo Park! Among the highlights this month is the Swing Dance, hosted by Glen Echo Park Partnership on Saturday, March 30, and featuring the Music Unlimited Big Band. Check out all the March dance events below, and be sure to visit the presenters' websites for upcoming events by following the links or visit our online DANCE CALENDAR. Improve your dancing skills with MARCH DANCE CLASSES offered by our talented faculty.